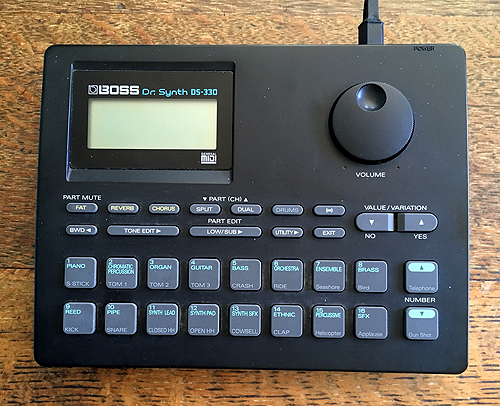 The DS-330 dates back to 1994, and is an almost like a cut down version of the Sound Canvas. The intersting thing about this module is the 90s sounds it contains after all that was when it was made. That said it is a versatile midi unit that has a wealth of functions and includes its own Reverb and chorus controls. 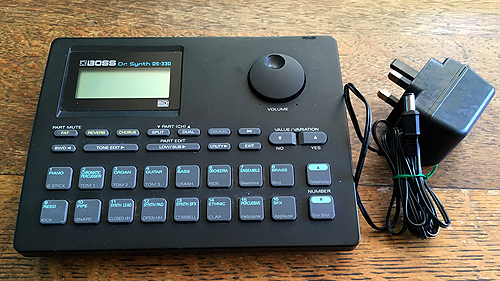 The DS-330 has a subset of about 128 + tones.The user interface has two m ajor modes: single play mode and multi mode. Multi mode is for sequencing and for live there is a single play mode. Single play mode has a DRUM submode. When in this mode, the 16 buttons are now pads that play drum sounds from the selected kit. There is a short video of this very unit playing its demo song https://youtu.be/Nis0kpW_x0Y the cat mieow at 0:31 not included! 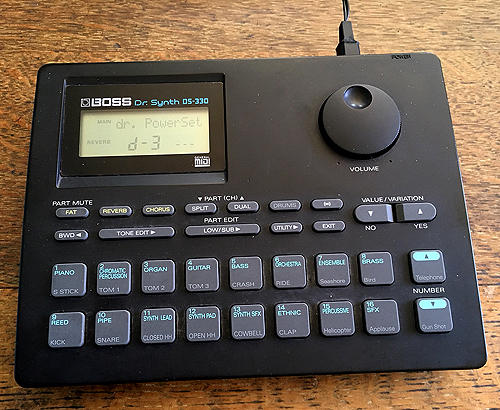 A single sound mode or 16 part multi-timbral making it useful for external midi sequencers.